Like many patients you are probably tired of going to the dentist and hearing the questions:”Are you brushing thoroughly?” and “Are you flossing every day?” Even if you are adamant about your brushing and flossing, it can be annoying to hear that you have a cavity or that your gums are inflamed. You probably look forward to a routine check-up where you find that you have a clean bill of health! 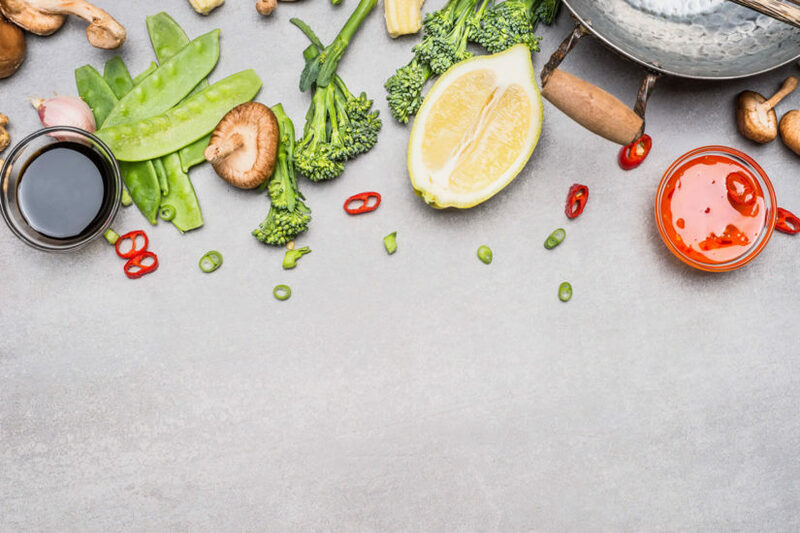 While some people are predisposed to oral issues due to genetics or secondary conditions, there is something you can do to nail your next dental exam and cleaning: focus on your diet. Vegetables like kale and spinach are filled to the brim with mouth-healthy vitamins and minerals. Specifically, they hold vitamin C, which boosts the production of red blood cells and reduces inflammation. Both these benefits battle against irritation and gum disease. Leafy greens require more chewing, thanks to their high fibre content, which is good for gums because the chewing action creates more saliva. This helps to flush out food particles, bacteria, and plaque that may be sticking to your teeth near the gum line. Revamp your diet with power-packed greens by creating salads with them, adding them as a cooked side dish to main meals, and putting them in soups and sandwiches. Foods that are very crunchy are excellent at scraping away stuck on food and plaque. The hard bits of foods like celery, carrots, and apples get in between teeth and into tooth crevices and can help keep your mouth fresh between brushings. Crunchy fruits and vegetables also happen to be high in fibre, which, again, means they take longer to chew and generate more saliva. Saliva is great for flushing the mouth of bacteria near the gum line. Simply add these foods to your daily diet as snacks to help get rid of food particles between meals. Read the entire food list . . . He advises individuals to stock up on foods that have beta carotene, folic acid, antioxidants, and vitamins A, B, C, and E, since these can accelerate bone regeneration and prevent plaque from sticking to your gums. As a result of the lead crisis in Flint, Michigan and the fight to protect the safety of the water at Standing Rock, there is growing awareness of long-ignored water issues around the country, from basic water safety to something we now know as water poverty. The U.S. still has some of the safest drinking water on the planet, but eroding trust means that we are at risk of drinking less of it . . .
And then there is this. Soda companies invest millions of dollars in campaigns to defeat soda taxes that are designed to discourage people from buying and consuming sugar sweetened beverages. (They have also funded successful efforts to influence health organizations.) These taxes are being imposed more widely to help abate the dramatic increase we are experiencing in obesity and Type 2 diabetes, especially among children. The rates of these diseases are highest in the very populations that the industry targets most – low income neighborhoods and racial and ethnic minorities . . . So is bottled water a bad choice, the villain? There are lots of reasons why it isn’t as good at tap water for most of us. However, for people who are substituting water for soda, or people who whose water is decidedly unsafe, or people who are exploring whether or not to trust what comes from the tap, bottled water is a compromise that we live with until everyone’s right to healthful water is guaranteed. Read full article here . . . When it comes down to it, even if bottled water doesn’t have the fluoride benefits of tap water, it is significantly better than drinking pop. If you can cut down on your soft drinks, you should be seeing improvements at your dental check-ups. One way to ease into this transition is by getting your fix from club soda. Again, it’s not as good as drinking from the tap, but it’s a step in the right direction. Keep your good brushing and flossing habits up, but see if some diet changes do the trick.